Department of Pacific and Asian Studies, University of Victoria. Luce-funded Timor-Leste Studies Initiative, Association for Asian Studies (2016-present). Indonesia and Timor Leste Studies Committee, Association for Asian Studies (2015-18). Religion in Southeast Asia Unit, American Academy of Religion (2014-18). Heidelberg Ethnology (link), peer-reviewed occasional papers series (2014-18). 2018 More Than Words: Transforming Script, Agency and Collective Life in Bali. Single-authored book. Cornell University Press. 2016 The Materiality and Efficacy of Balinese Letters: Situating Scriptural Practice. Edited with Annette Hornbacher. Leiden: Brill. 2011 Critical Reflections on Religion and Media in Contemporary Bali. Single-authored book with accompanying DVD. Numen Book Series: Studies in the History of Religions, 130. Leiden: Brill. 2017 ‘The Imitation of Life: First Reflections on Justin McDaniel’s Architects of Buddhist Leisure’. Heidelberg Ethnology. 5: 13-6. 2017 ‘Religion, Media and Cultural Studies’. In King, R. (ed.) Religion, Theory, Critique: Classic and Contemporary Approaches and Methodologies. New York: Columbia University Press. Pages 335-47. 2017 ‘Histoires des lettres et de leur peuple’. Le Banian. June, No.23: 38-55. 2017 ‘Of Family, Futures and Fear in a Balinese Ward: Some Preliminary Thoughts Toward a New Project’. Jurnal Kajian Bali. 7(1): 213-48. 2016 ’The Meaning of Life… or, How to Do Things with Letters’ In: Fox & Hornbacher (eds.) as above. 2016 ’Postscript’ In: Fox & Hornbacher (eds.) as above. 2015 ‘Why Do Balinese Make Offerings? On Religion, Teleology and Complexity’. Bijdragen tot de Taal-, Land- en Volkenkunde. 171(1): 29-55. 2015 ‘Affordanz’ (with Panagiotopoulos, D. & C. Tsouparopoulou). In Ott, M.R., R. Sauer & T. Meier (eds.) Materiale Textkulturen. Konzepte – Materialien – Praktiken. Berlin etc: de Gruyter. 2013 ‘Om Swasty-Alaikum… Interpreting Religio-Ethnic Humor on the Balinese Stage’. Archipel: Études interdisciplinarires sur le monde insulindien. 86(2): 43-72. 2009 ‘Booknote’ on Reichle, N. (2007) Violence and Serenity: Late Buddhist Sculpture from Indonesia. Honolulu: University of Hawai’i Press. Religious Studies Review. 35(4): 311. 2005 ‘Plus ça change… Recent Developments in Old Javanese Studies and Their Implications for the Study of Religion in Contemporary Bali’. Bijdragen tot de Taal-, Land- en Volkenkunde. 161(1): 63-97. Two-year grant ($24,000) secured for the Indonesia and Timor-Leste Studies Committee, from the Henry Luce Foundation, in support of the Timor-Leste Studies Initiative at the Association for Asian Studies. 2017-2018. Four-year research appointment for religious uses of script and writing in Java. Funded by the Sonderforschungsbereich 933: Materiale Textkulturen; Materialität und Präsenz des Geschriebenen in non-typographischen Gesellschaften. July 2015 – June 2019. Two-year research appointment for project entitled Living Spaces: Transforming Buildings and Bodies in Contemporary Bali. Deutsche Forschungsgemeinschaft. Declined. Three-year research appointment for project on religious uses of script and writing in contemporary Bali. Funded by the Sonderforschungsbereich 933: Materiale Textkulturen; Materialität und Präsenz des Geschriebenen in non-typographischen Gesellschaften. April 2012 – July 2015. Fulbright Senior Scholar Award, for a ten-month ethnographic research project in Bali, Indonesia. Project title: Practices Unseen: A Traditional Practice in the Contemporary World. Sept. 2010 – July 2011. Nine months’ field research in Bali, Indonesia; funded by Research Leave Award from the University of Chicago Divinity School (Sept. 2006 – March 2007; July-August 2007; December 2008). Chair of Pacific & Asian Studies’ Curriculum Committee; Chair of Committee for Appointment, Reappointment, Tenure & Promotion; Chair of search committees for Assistant Teaching Professors in Chinese and Japanese language; member of search committee for Faculty of Humanities’ Associate Dean of Research; (University of Victoria, 2018-19). Peer reviewing for: Indonesia & the Malay World; Bijdragen tot de Taal-, Land- en Volkenkunde; Journal of the American Academy of Religion; History of Religions; Journal of Religion; American Ethnologist; Asian Journal of Communication; Brill, Asian Studies List; Edinburgh University Press; Practical Matters; Sophia; Lawrence King Publishing, Humanities & Religion list. Elected member of the Southeast Asia Council, Association for Asian Studies (2019-22). Tenure committee reviewer. Dept of Religious Studies, Univ. of California at Riverside (2013-14). Advisory board member, International conference on “Empowerment and Preservation of Local Languages.” Bali, Indonesia (23-4 February 2018). Planning committee member for new university-wide ‘excellence initiative’ entitled Humanities in a New Key: Engaging Fragility and Persistence in Interconnected Lifeworlds. Ruprecht-Karls-Universität Heidelberg (June 2016-present). 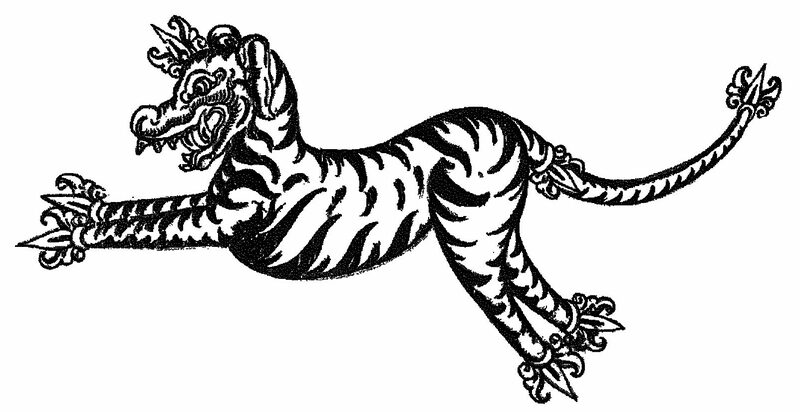 Founder and Administrator of Kawi in the World, a Facebook discussion group (150 members) devoted to the discussion of Old and ‘Middle’ Javanese language and literature. Co-organizer for Old Javanese Summer School Program, University of Heidelberg (2013 & 2014). Chair, Indonesian and Timor Leste Studies Committee, AAS: 2015 – 18. Member, executive board, Indonesian and Timor Leste Studies Committee, AAS: 2006-present. Member, Internal Committee reporting on the annual conference of the Asia and Europe in a Global Context ‘Cluster of Excellence’, Ruprecht-Karls Universität Heidelberg. Nov., 2012. Research Associate, Asian Media Project. SOAS (London), Univ. of Chicago, Nanyang Technological Univ. (Singapore) and Sekolah Tinggi Seni Indonesia, Denpasar. 1999-2001. Co-founder and co-convener (1997-98) & Convener (1998-99), Interdisciplinary Research Workshops on Religion and Media. Media Research Group and Dept of the Study of Religions, SOAS. ‘The Girl With Two Souls: On the Indeterminacy of Translation in Bali and Beyond’. Annual Meetings, American Academy of Religion. San Antonio, TX. November 2016. Discussant for roundtable on Justin McDaniel’s Architects of Buddhist Leisure. Annual Meetings, American Academy of Religion. San Antonio, TX. November 2016. ‘Family, Futures and Fear in a Balinese Ward; Preliminary Thoughts Toward a New Project’. Symposium on How Indonesians Argue, Oxford. June 2016. ‘Tradition as Argument: Paratactic Reasoning, Total Crisis and the Failure of Critique in Contemporary Bali’. Symposium on How Indonesians Argue, Oxford. June 2015. ‘Reasoning About the Good Life Adrift in a Sea of Islam, or An Indonesian Muslim in the Hindu-Balinese Polis’. Association of Asian Studies Conference. Philadelphia. March 2014. ‘The Meaning of Life, or How to Do Things with Letters’. Paper to the conference on The Materiality and Efficacy of Aksara: Situating Balinese Scriptural Practice, sponsored by the SFB 933 on Material Text Culture, and hosted by the Institut für Ethnologie, Ruprecht-Karls Universität Heidelberg (Jan 30 – Feb 2, 2014). ‘Om Swasty-Alaikum… Interpreting Religio-Ethnic Humor on the Balinese Stage’. Association of Asian Studies Conference. Toronto. March 2012. ‘Mediating Security: Religion-Related Violence and the Islamic Press in Indonesia’. Luce Symposium on Religion and Human Security. Seattle, WA. May 2008. Center for Southeast Asian Studies, School of Oriental and African Studies (University of London, UK); November 2016 (forthcoming); ‘On the Importance of Being Indeterminate, or How I Learned to Stop Worrying and Love Translation’. Ambassade d’Indonésie (Paris, France); October 2016; ‘Sens dessus dessous: Un monde désaxé’. Centre national de la recherche scientifique (Paris, France); June 2016. ‘Etymology is Not Destiny: Moments of Translational Indeterminacy on an Indonesian Island’. Soka University (California, USA); April 2016. ‘How to Have Your Soul and Eat It Too: Translating Agency and Polity in Contemporary Bali’. Department of Anthropology, University of Victoria (Canada), April 2016; ‘The Girl with Two Souls: On the Very Idea of a Translation Manual‘. Department of Anthropology, Georg-August-Universität Göttingen. July 24, 2014; ‘Thinking About Religion, Media and“Social Change” in Contemporary Bali’. Kate Hamburger Kolleg, Ruhr-Universität Bochum. Oct 21-22, 2013; ‘Capitalizing on the Family: Domestic Rites and New Forms of Solidarity in Contemporary Bali’. Paper invited for Rethinking Religion and Globalization: A Cross-Disciplinary Conversation. Keynote speaker, GEOKS Center for Performing Arts, 6th Anniversary Conference. Singapadu, Bali. 21 December 2010; ‘Televisi, Kebudayaan dan Modal: Seni Pertunjukan Bali Kini’. (Television, Culture and Capital: Bali’s Performing Arts Today’. Department of Religion, Yale University. New Haven, Connecticut. April 2001; ‘Mediating Religion: Indonesian Television and the Dissemination of Agama Hindu’. Kings College, University of London. 1998; ‘Literature and Religion in Bali’. Udayana University. Denpasar, Bali. 1996; ‘Pariwisata dan Pembangunan di Bali Modéren’. (Tourism and Development in modern Bali). Fakultas Sastra (Faculty of Letters). California State Univ. at Long Beach. 1995; ‘An Introduction to Hinduism in Indonesia’. 3 lectures. Designed, organized and lead two-year initiative to develop Timor-Leste studies at the Association for Asian Studies, with a grant ($24,000) from the Henry Luce Foundation (Toronto 2017, Washington DC 2018). Organized panel entitled Pop Culture as Argument: Contesting Religion, Gender and Romance in Contemporary Indonesia at the Annual Meetings of the American Academy of Religion in Denver, USA (November 2018). Organized the Southeast Asia Council (SEAC) ‘designated panel’ on The Transformation of Religion, Culture and Society in Timor-Leste for the Annual Meetings of the Association of Asian Studies in Toronto, Canada; includes SEAC stipend of $1000 (March 2017). Organized panel entitled Translation in Theory and Practice: Writing Across Languages in Southeast Asia for the Annual Meetings of the American Academy of Religion in San Antonio, TX (November 2015); jointly sponsored with the Comparative Studies in Religion Section. Organized panel entitled Theoretical Tensions in the Study of Islam: Perspectives from Southeast Asia for the Annual Meetings of the American Academy of Religion in Atlanta, USA (November 2015); negotiated cosponsorship with the Contemporary Islam Group. Organized panel entitled Islamic and Christian Conflicts over Authority in Southeast Asia at the Annual Meetings of the American Academy of Religion in San Diego, USA (November 2014). Organized international conference entitled The Materiality and Efficacy of Aksara: Situating Balinese Scriptural Practice, sponsored by the SFB 933 on Material Text Culture, and hosted by the Institut für Ethnologie, Ruprecht-Karls Universität Heidelberg (Jan 30 – Feb 2, 2014). Organization included managing a budget of some €11,000. Power and Performance: Theatrical Bodies and Persons in Contemporary Bali. A full week of seminars, performances, lectures and workshops, bringing together Bali’s leading choreographers & dancers with academic experts on performance from Indonesia, US and UK. Supported by $8000 raised both from within the College and from outside sources. April 2006, Williams College. Religion and the Performing Arts in Contemporary Bali. Winter Study Course, Williams College. January 2006. This three-week course incorporated language and cultural study with experiential learning. This included a period of ‘home stay’ study for each student, and an independent study project. Included management of a budget of some $15,000. Performance, Aesthetics, Critique: Balinese Theatre and Dance in the 21st Century. Three nights of seminars, performances and lectures, bringing together four of Bali’s leading choreographers & dancers with academic experts on performance from Indonesia, the US and UK. Supported by $4000 provided jointly by the Dean of Faculty, Dept of Anthropology & Sociology, Dept of Asian Studies, Dept of Religion, Lecture Committee & President’s Office. That’s Entertainment! Élites, Media and ‘The Masses’ in Post-Suharto Indonesia. Peer-reviewed panel for the Annual Conference of the Association of Asian Studies (AAS). Sponsor: Indonesian and East Timor Studies Committee. Supported by $2150 travel grant from AAS. Proceedings published in Hobart and Fox (2006).